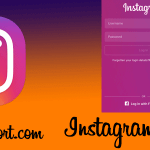 You are here: Home / Instagram / How to Delete Instagram Account? Managing more than one Instagram account or bored of sharing images and videos on Instagram? 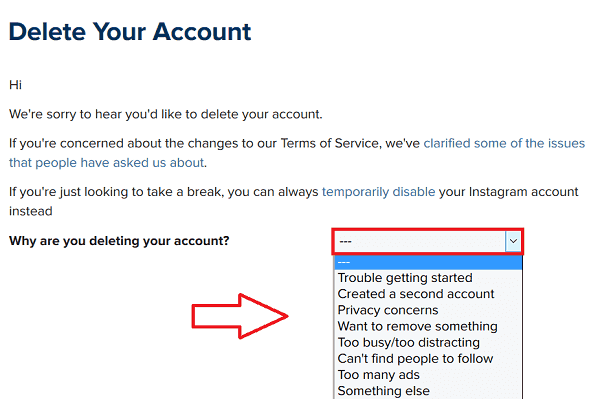 You can either temporarily disable or permanently delete an Instagram account. You need to sign into Instagram via web-browser as you can not deactivate Instagram account using a mobile app. Remember, once you remove an Instagram account permanently, you will lose all photos and videos updated onto this account. So we suggest back up these galleries before you delete an Instagram account. 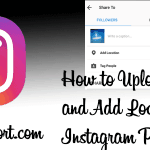 Steps to Instagram Account Delete Permanently? Temporarily disabling account won’t delete your photos and videos stored on the account. Your stuff will be hidden, but not deleted. You will get it back when you re-activate your Instagram account by logging in. Sign into Instagram accounts with same username and password to activate your account again after temporary disable. Login Instagram account from the web on your any web browser. Enter your login credentials and click ‘Log in’ button. You will reach into the Instagram home page. Click on ‘username’ on the top right corner of the page. Select ‘Edit Profile‘. And scroll to the bottom. Click on ‘Temporarily disable my account‘. Instagram will ask ‘why are you disabling your account?‘, Provide your reason from given options. Note that you can only Deactivate Instagram account once a week. Before deleting permanently, we suggest to backup all photos and videos uploaded to your Instagram account. You can’t recover your stuff later. In future, you cannot sign up with the same username again. So if you are willing to take a break only, you can temporarily disable an account. If anyone came to use your username later, you can’t claim it later. Log into the Instagram account via web-browser (Either PC or mobile). You can’t delete your account using the Instagram app on mobile. Go to Delete Instagram account page. Choose from the options from the drop-down menu to the question ‘Why are you deleting your account?‘. You need to provide your Instagram password to verify your identity as the real owner of the account. Click ‘Permanently delete my account‘ button. Now you successfully deleted the Instagram account permanently. All data stored on your account will be removed hereafter. Those data can’t be restored in future. If you want to be back on the Instagram platform again, you must start all from the beginning. But you can’t use the same username that you delete permanently. go to Instagram profile, choose photos you want to remove. Click on three horizontal lines on the top-right side of the images and tap ‘Delete’. You will no longer have access to photos that you delete it from your profile. So we suggest to backup somewhere else before removing from an Instagram account. Can i reuse my email username later if i delete permanently? 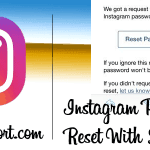 If you deleted Instagram account via the secure Account Removal page you cannot restore your account. You can setup new Instagram account with the email address of your deleted account, but you will not be able to get the same username.